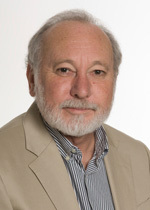 Graeme Harrison has been associated with the Department of Accounting and Corporate Governance (formerly the Department of Accounting and Finance) at Macquarie University since 1974. He was appointed Professor of Accounting in 1994 and, on his retirement in 2007, was appointed Professor Emeritus. He has been heavily involved in the academic development and leadership of the Department over many years, including serving as Head or Deputy Head of Department for ten years from 1993 to 2003. Graeme's research interests are in the areas of management accounting, international accounting, particularly national cultural influences on accounting, and, more recently, audit. He has published extensively in these areas over many years and, in 2004, was ranked in the Top 10 accounting researchers from 119 universities in the Asia-Pacific region on the basis of publications in the "Top 5" (top tier) scholarly refereed journals world-wide over the period 1991 to 2002. CEO Values, Stakeholder Culture, and Stakeholder-based Performance, with Jiao, L., Chen, J. & Dyball, M. Asia Pacific Journal of Management (2017), forthcoming. The Organizational Culture of Public Sector Organizations in Australia, with Baird, K.M. Australian Journal of Management (2015), Vol. 40, No. 4, pp. 613-629. Audit Quality Attributes: What's Really Important to Users of Audit Services, with Kilgore, A. & Radich, R. Managerial Auditing Journal (2014), Vol. 29, No. 9, pp. 776-799. The Relative Importance of Audit Quality Attributes, with Kilgore, A. & Radich, R. Australian Accounting Review (2011), Vol. 21. No. 3. Auditor Appointment in Compulsory Audit tendering, with Butcher, K., McKinnon, J.L. & Ross, P. Accounting Research Journal (2011), Vol. 24, No. 2, pp.104-149. Interdependencies in Organization Design: A Test in Universities, with Chung, T.K.J. & Reeve, R.C., Journal of Management Accounting Research (2009), Vol. 21, pp. 55-73. The Interplay between Accountability and Management Control Patterns in Public Sector Outsourcing, with Narayanan, V. & Schoch, H. International Journal of Business Studies (2007), Vol. 15, No. 2, pp. 37-65. The Culture of Australian Organizations and its Relation with Strategy, with Baird, K. & Reeve, R., International Journal of Business Studies (2007), Vol. 15, No. 1, pp. 15-41. Success of Activity Management Practices: The Influence of Organizational and Cultural Factors, with Baird, K. & Reeve, R., Accounting and Finance (2007), Vol. 47, no. 1, pp. 47-67. Effect of Cognitive Style and Professional Development on the Initiation of Radical and Non-Radical Management Accounting Innovations, with Emsley, D.A.R. & Nevicky, B. Accounting and Finance (2006), Vol. 46, No. 2, pp. 243-264. The Role and Status of Accounting and Accountants in an Australian Government Trading Enterprise: A Stakeholder Approach, with Perera S. and McKinnon, J.L. Pacific Accounting Review (2005), Vol. 17, No. 2, pp. 125-155. Adoption of Activity Management Practices: A Note on the Extent of Adoption and the Influence of Organizational and Cultural Factors, with Baird, K.M. & Reeve, R.C., Management Accounting Research (2004), Vol. 15, pp. 383-399. Organizational Culture: Association with Commitment, Job Satisfaction, Propensity to Remain, and Information Sharing, with McKinnon, J.L., Chow, C.W. & Wu, A., International Journal of Business Studies (2003), Vol. 11, No. 1, pp. 25-44. Diffusion of Transfer Pricing Innovation in the Context of Commercialization - A Longitudinal Case Study of a Government Trading Enterprise, with Perera, S. & McKinnon, J.L., Management Accounting Research (2003), Vol. 14, No. 2, pp. 140-164. Cash to Accrual and Cash to Accrual: A Case Study of Financial Reporting in two NSW Hospitals 1857 to post-1975, with Scott, J.E.M. & McKinnon, J.L., Accounting, Auditing and Accountability Journal (2003), Vol. 16, No. 1, pp. 104-140. Measuring the Marketing Knowledge of Accounting Professionals, with Simic Misic, M. & Walters, D., Australian Accounting Review (2003), Vol. 13, No. 29, (March), pp. 45-56. The International Accounting Standards Board - With Status and Privilege comes Responsibility, with McKinnon, J.L. & Hommel, M., Indonesian Management and Accounting Research Journal (2002), Vol. 1, No. 2, (June), pp. 104-127. Cultural Influences on Judgments of Professional Accountants in Relation to Auditor-Client Conflict Resolution, with Patel, C. & McKinnon, J.L. Journal of International Financial Management and Accounting (2002), Vol. 13, No. 1, (Spring), pp. 1-31. Statutory Control in Accounting and Regulation: A Case Study of the Development and Financial Supervisory Board (BPKP) in Indonesia, with McKinnon, J.L. & Hutagaol, J., Research in Accounting in Emerging Economies (2000), Vol. 4, pp. 51-72. Cross-Cultural Research in Management Control Systems Design: A Review of the Current State, with McKinnon, J.L., Accounting, Organizations and Society (1999), Vol. 24, No. 5/6, pp. 483-506. The Effect of Chinese Culture Characteristics on Adaptation to Fluid Workgroups and Teams and Intergroup Information Sharing - Taiwanese Firms, with Chow, C.W. & Wu, A., Accounting Research Monthly (September 1998), Vol. 87, No. 9, pp. 60-64. Editorial: Culture and Management Accounting, with McKinnon, J.L., Management Accounting Research (1998), Vol. 9, No. 2, pp. 113-118. Customer Focused Manufacturing Strategies and the Use of Non-Financial Performance Measures: A Research Note, with Perera, S. & Poole, M., Accounting, Organizations and Society (1997), Vol. 22, No. 6, pp. 557-572. Management Accounting Education in Australian Universities: A Review of the Current State, with Perera, S., Australian Accounting Review (1995), Vol. 9, No. 1, pp. 64-72. Satisfaction, Tension and Interpersonal Relations: A Cross-Cultural Comparison of Managers in Singapore and Australia, Journal of Managerial Psychology (1995), Vol. 10, No. 8, pp. 13-19. Culture and Management, Australian Accountant (1994), pp. 14-22. The Influence of Culture on Organizational Design and Planning and Control in Australia and the United States Compared with Singapore and Hong Kong, with McKinnon, J.L., Panchapakesan, S. & Leung, M. Journal of International Financial Management and Accounting (1994), Vol. 5, No. 3, pp. 242-261. Reliance on Accounting Performance Measures in Superior Evaluative Style - The Influence of National Culture and Personality, Accounting, Organizations and Society (1993), Vol. 18, No. 4, pp. 319-339. The Cross-Cultural Generalizability of the Relation Between Participation and Performance Evaluation Style, Accounting, Organizations and Society (1992), Vol. 17, No. 1, pp. 1-15. The F Scale as a Measure of Authoritarianism in Accounting Research, Behavioral Research in Accounting (1991), Vol. 3, pp. 13-24. Financial Criteria for Field Sales Administration, Management Forum (March 1979), Vol. 5, No. 1, pp. 25-35. Accounting Education for the Marketing Controllership Function, A.U.T.A. Review (British Accounting Review) (Autumn 1978), Vol. 10, No. 1, pp. 24-42. Educational Constraints on the Development of an Accounting/Marketing Interface, Accounting and Finance (May 1978), Vol. 18, No. 1, pp. 76-92. The Organizational Context of Management Accounting, co-authored with R.H. Chenhall and D.J.H. Watson (Boston: Pitman Publishing, Inc., 1981), pp. 398. National Culture and Management Control, with J.L. McKinnon (2007). In Scapens, R., Hopper, T. & Northcott, D. (eds), Issues in Management Accounting, 3rd ed., Pearson, pp. 93-116. The Historical and Contemporary Context of the Marketing Controllership Function (1981). In R.M.S. Wilson (ed. ), Financial Dimensions of Marketing, London: Macmillan, pp. 22-57. In the past, I have been involved in executive development teaching on the following programs on behalf of, and together with colleagues from the Accounting and Finance Department. Last Updated: 2017-03-22 15:43:53 by Unknown LDAP User.